The Vendée Globe solo around the world race is seen as the world’s toughest sporting challenge. 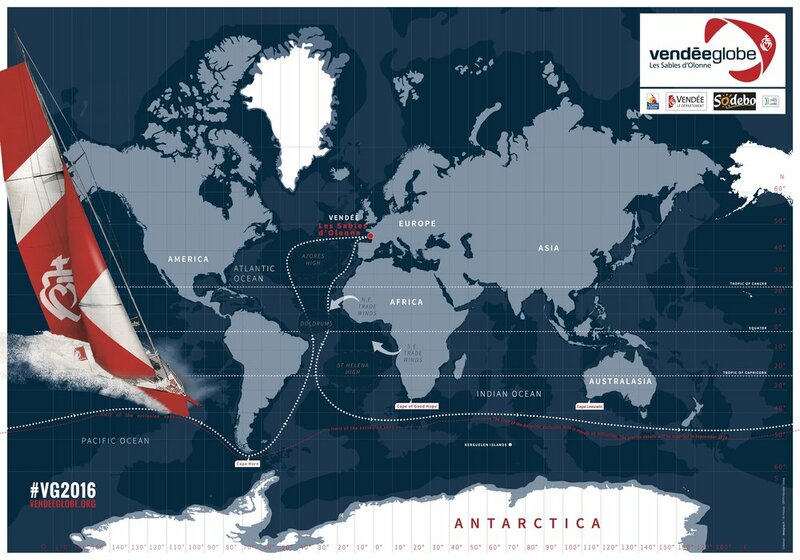 The concept of the Vendée Globe is simple and easy to understand. Sail around the world, alone, without stopping and without assistance. In 1989, the race that is now called the Vendée Globe, was run. Known as the 'Everest' of the seas, it has seen 138 sailors line up at the start, while only 71 have managed to cross the finishing line. This figure alone signifies the huge difficulty of this global event, in which sailors face icy cold conditions, mountainous waves, leaden skies and howling gales in the Atlantic and Southern Oceans. The race takes place every four years, and records tumbled in the 8th edition in 2016-2017. This edition saw Armel Le Cleac'h set the fastest time of 74 days. The victory came after the most tightly fought duel in the race’s history, with Alex Thomson finishing just 16h later. The race set media records too, becoming the offshore sailing race most followed worldwide on social media. It was the French sporting event achieving the biggest impact that year (more than Roland Garros and the Tour de France). 2.2 million visitors attended the start and finish of the race. And the three months of racing was followed by a TV and press audience of 2.3 billion. The Vendée Globe brings together people passionate about extraordinary human adventures and sporting endeavour. Every four years the worlds top solo ocean racers congregate in Les Sables d’Olonne to race for the ultimate prize - The Vendée Globe Trophy. Its a race thats captures the imagination of all, its simple, yet extreme: Race around the world (28,000 miles), on your own, without stopping, without assistance, on 60ft thoroughbred racing yachts. The race is regarded as the ultimate test in sailing.